And even more old school hip-hop! But this time, from a younger guy, Ken The 390 who is from the Dream Boy crew and is known for tracks like the instant party favorite Bangin’ and makkō shōbu (真っ向勝負), his most popular video so far, that has over 1.4 million views at the moment. For Rock The House, he went for a very old school approach and even infused it with a bit of Shibuya-kei sound. AKLO is one of the most successful rappers lately, who had some real heavy hitters a few years ago (Heat Over Here and New Days Move), but somewhat toned down his sound for 2014’s The Arrival. It was still a fine album, with some standout tracks, but his new one, Outside the Frame turned out much better. It has a mostly relaxed, mellow, but at the same time, still somewhat heavy sound and so far it is clearly one of the best Japanese hip-hop albums from this year. The below video for the title track came out a few weeks after the album’s June release, but the two previous videos, We Go On and McLaren are also more than worth to check out! Both of the above linked videos feature Salu, who also worked a lot with the Dream Boy crew… and who came out with his 2nd album back in April, that featured a wide variety of producers… including Macka-Chin who was already mentioned here at Japan Vibe before. (But yeah… even though Japan’s hip-hop scene is incredibly vast, still, everything is connected in one way or another.) One of the standout tracks from Salu’s album was Nipponia Nippon which got its own video, that actually looks more like a beautiful commercial for the Visit Japan! campaign. K Dub Shine, one of the living legends of the scene is back with a deliciously heavy track, called The Judgement Day, that evokes the sound of his first few, now-classic solo albums. The video is nothing interesting, but still, it is great to see the man back in his best form again. Hunger is mostly known as the MC of hip-hop trio Gagle, but he also works solo once in a while and now he is out with an album, Sugoroku. He released music videos for two tracks (both produced by his fellow Gagle member, DJ Mitsu The Beats): one for furidashi and one for Ultravel. The theme of the album is traveling, as you can guess from the videos and the sound is all mellow and jazzy, but no surprise there, as that’s pretty much the trademark sound of Gagle… no wonder they are the flagship act of the internationally renowned Jazzy Sport label. For more samples from the album, check the preview mix at soundcloud! Disclaimer: Area Check originally started at soundofjapan.hu, where it had three parts so far, all in Hungarian… and you can find those here. 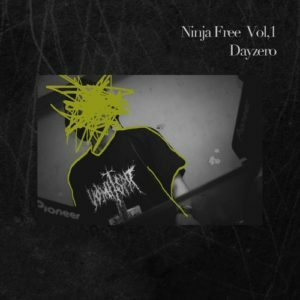 Dubstep, hip-hop and chill: new releases from Dayzero! « Keiji Haino + Balázs Pándi in Europe this October!